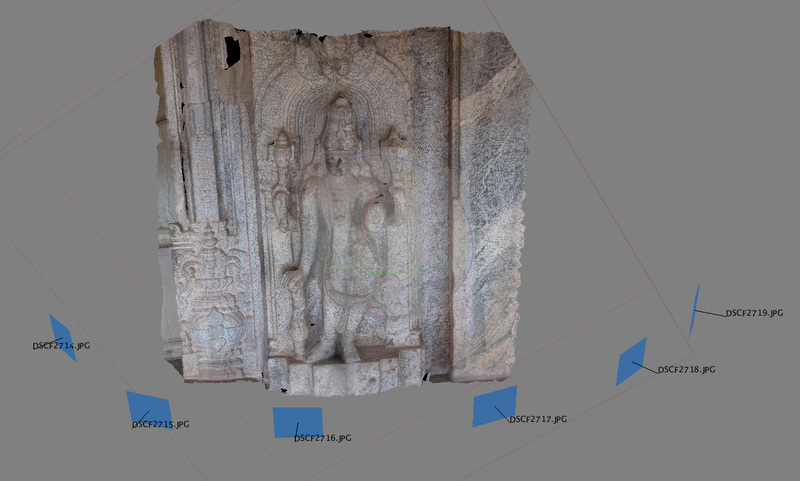 The following gives some guiding principles on photography for 3D reconstruction purposes, that is, automatically reconstructing a textured 3D model from photographs. The software upon which these principles have been tested are: Bundler based, 123D Catch, and PhotoScan. There is no substitute for experimenting and gaining a feel for the best approach, but hopefully the following will provide a short-cut. Use a fixed focal lens, otherwise known as a "prime lens" for an SLR camera. Most point-and-shoot cameras have a fixed focal lens. Note, this is generally not advice, but a requirement. Never take two photographs from the same location. One will never reconstruct parts of the object that are not captured in a photograph. Generally move around the object in approximately 10 degree steps, example 1 below. Repeat at one or more levels if the object is concave vertically, example 2 below. 2.5D objects, for example engravings and height fields, are significantly easier and usually require fewer images, example 3 below. The examples shown here are for self contained objects, generally try to keep the object filling each frame. 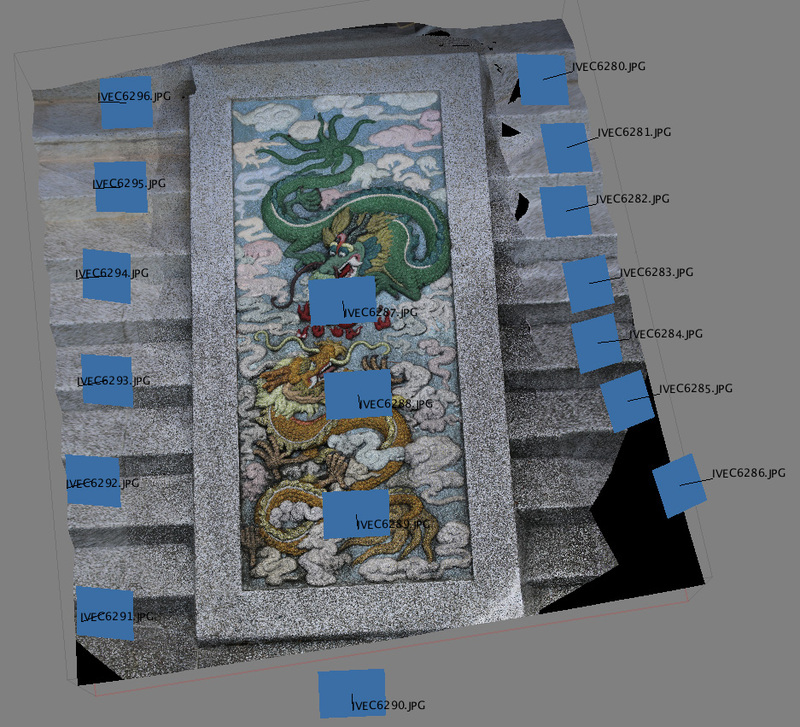 The guidelines become more difficult and more software dependent for linearly scanned objects where the object in question does not fill the photograph frame. At least 50% overlap is suggested, more if the texture is subtle. See example 4. 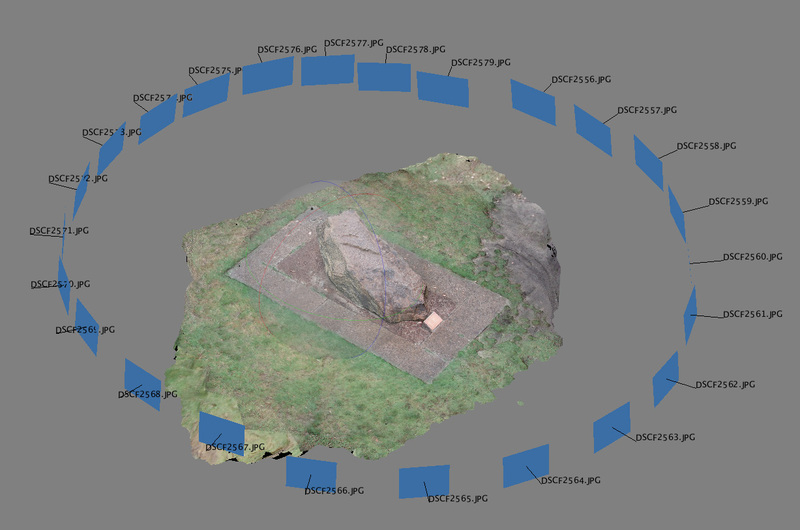 Cameras (blue rectangles) circle the central rock in approximately 20 degree steps. More complicated object requires photographs (red) at different heights to capture internal convolutions. 2.5D panels require the fewest photographs. Shown here in a circular arc but a linear sweep would be just as good. 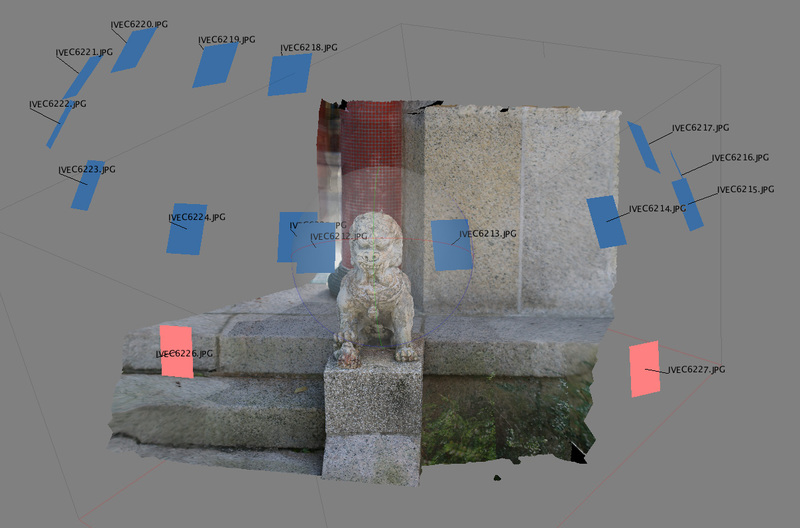 2.5D example but illustrating overlapping linear photographic track. Each shot only has a portion of the object in view.